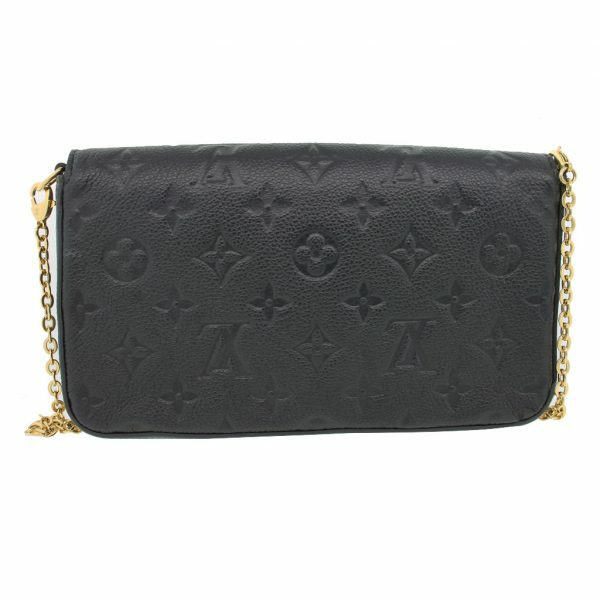 Condition You’re viewing this beautiful Louis Vuitton Felicie Empreinte Noir Black Pochette Chain Wallet Purse. 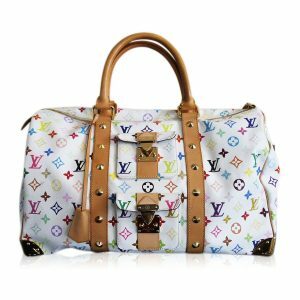 This stunning Louis Vuitton bag is perfect for nights out with friends or family, or even date night! Dress up formally or wear casually with jeans. 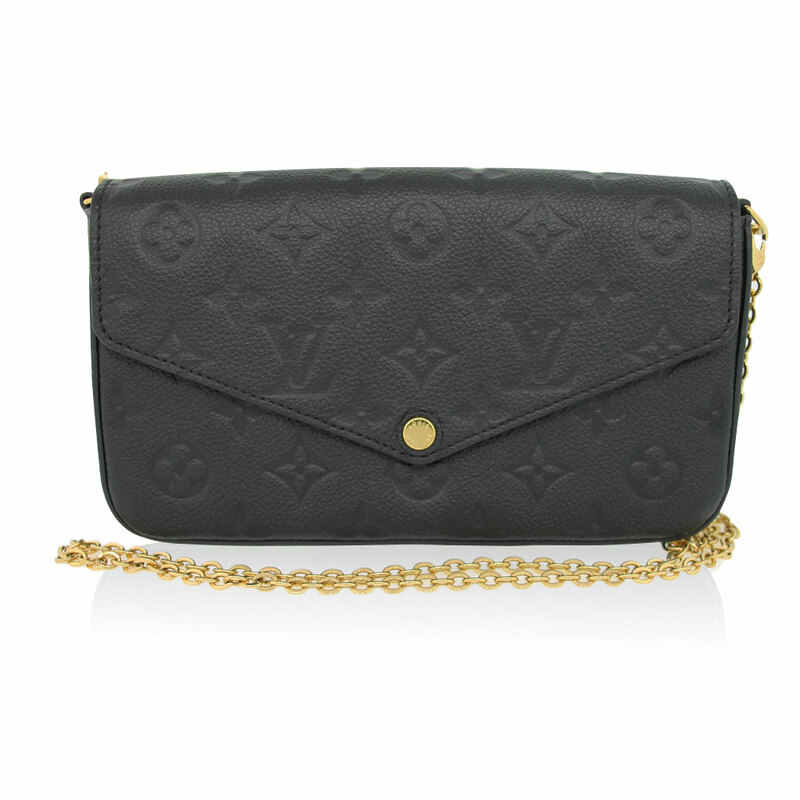 This LV Felicie wallet purse show little to no signs of wear and has been kept in original Louis Vuitton dust bag. 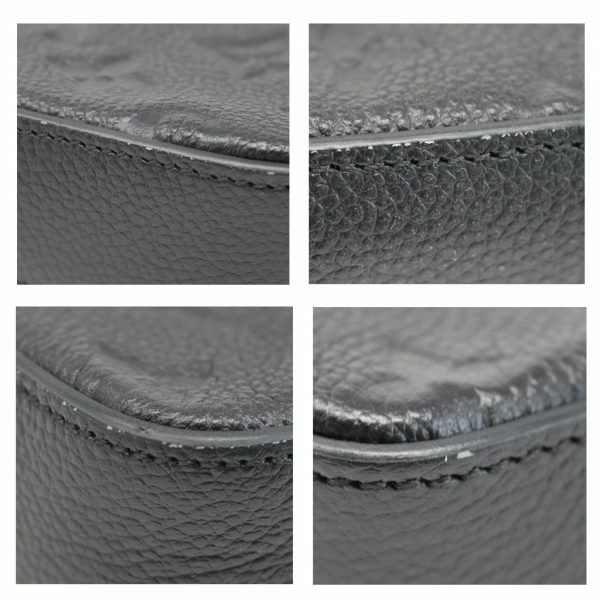 There are no visible scratches, or stains on the black empreinte leather exterior. 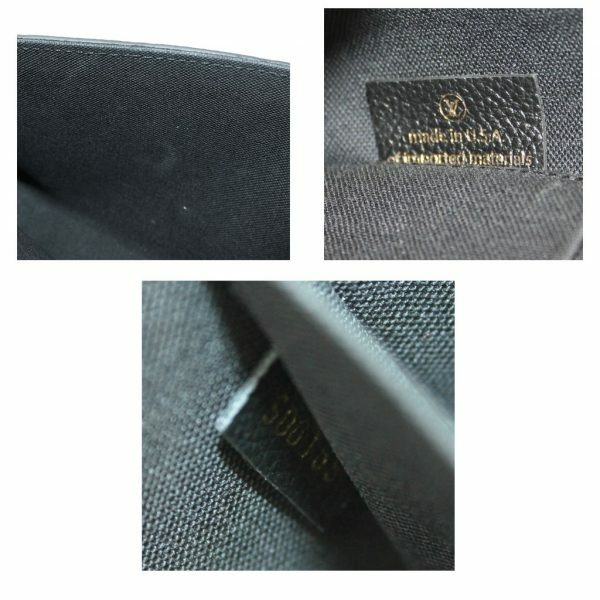 Along the bottom and bottom corners, you may see visible white markings from wear on the cowhide leather trim, which can be seen in the pictures listed. These marks are very tiny and can only be seen up close. 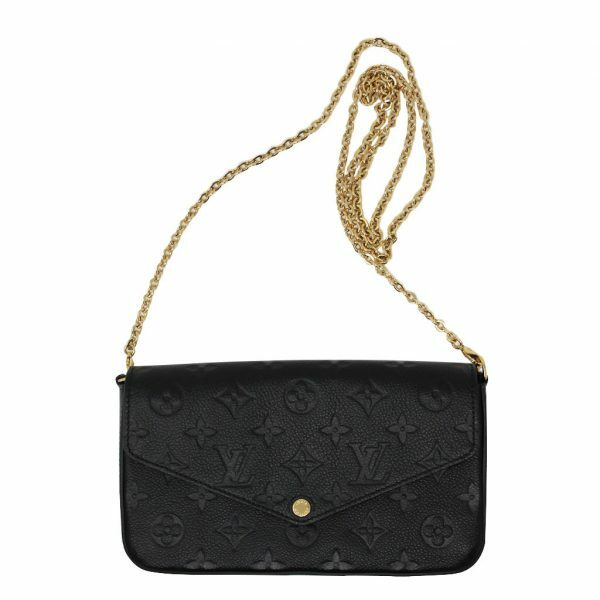 The purse opens with the front flap with gold tone button snap. The snap shows very faint and fine scratches from use. 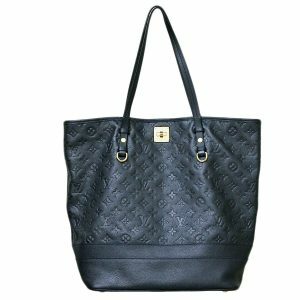 Open the front flap to the beautiful black microfiber interior lining. 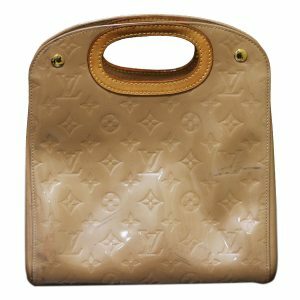 There are some visible make up stains on the interior lining, on the back of the flap and within the inside wall of the purse. 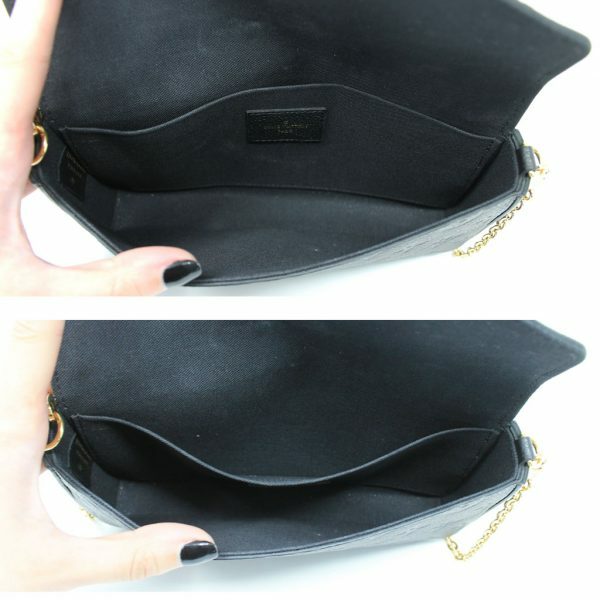 There is one pocket compartment within this purse. 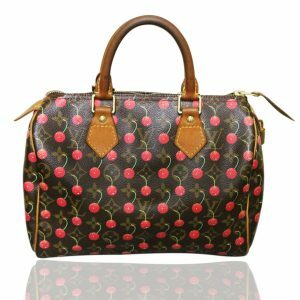 No foul odors, make up stains or rips of the lining are within this purse. 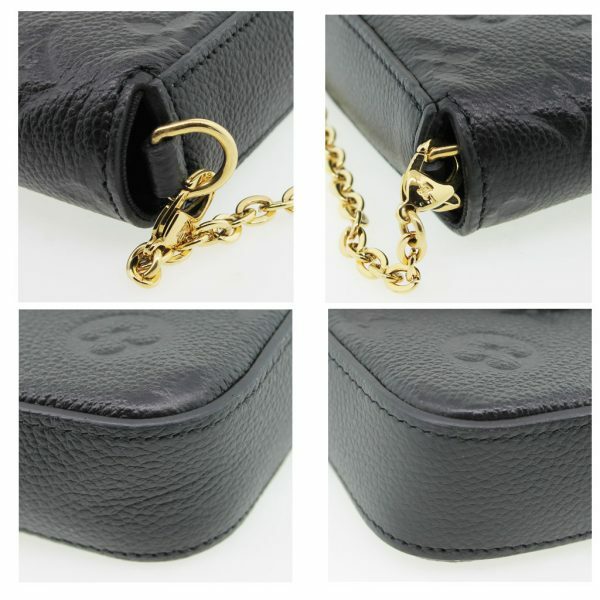 Carry this Felicie purse over your shoulder or cross body style with the 22 inch gold chain shoulder strap which can be removed to wear as a clutch. Don’t let this purse pass you by at this amazing price! We accept offers! Make us your best offer or buy it now! 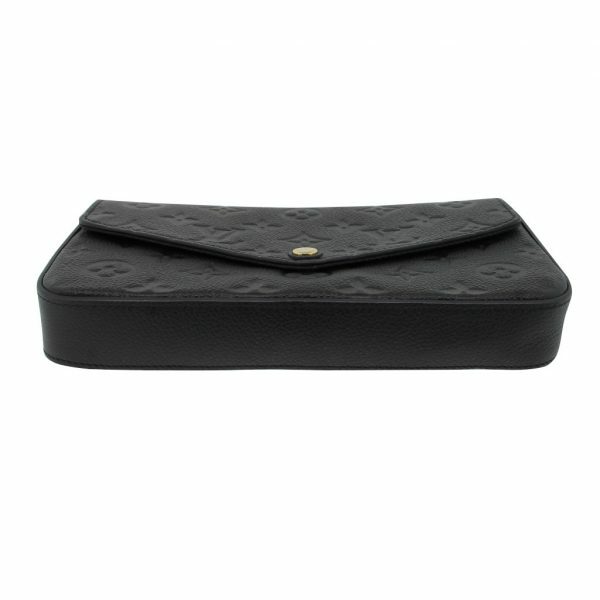 Interior removable zip pocket and removable credit card slot insert are sold separately. Message us for more information on these two items. Guaranteed 100% authentic! 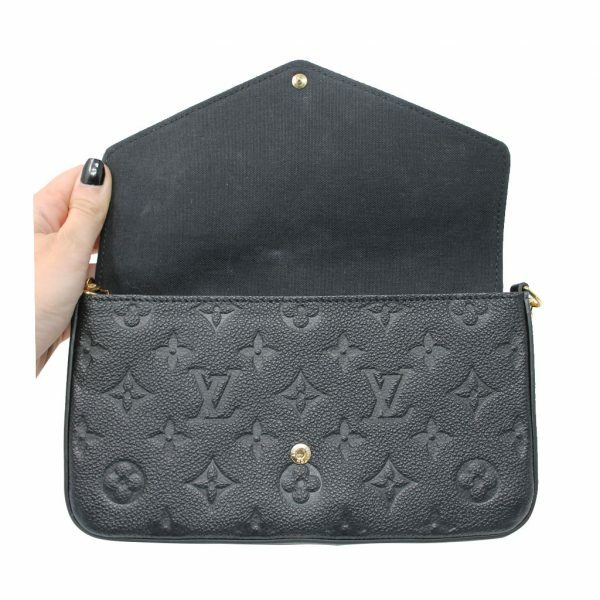 Comes with Louis Vuitton dust bag.